Dec. 2, 1927-July 2, 2017 Frank Everette Welch, 89, of Bridge City passed away July 2, 2017. Funeral services will be at 1:30 p.m. Saturday, July 8 at St. Paul United Methodist Church in Bridge City, Texas. Officiating will be the Rev. Mark Bunch. A gathering of family and friends follow the service in the Family Activities Center at St. Paul United Methodist Church in Bridge City. Born in Robeline Dec. 2, 1927, he was the son of John T. Welch and Maude Shull Welch. His senior year of high school (1944 -45) he was elected and served as the fourth vice president for Louisiana State FFA. He honorably served his country in the United States Army after joining during WWII. Frank worked as a chemical operator for Texas U.S. Chemical/Ameripol- Sympol until retiring at 55 years old. He then concentrated his time and energy into what he enjoyed most, cattle ranching at his family’s homestead. During his retirement he enjoyed traveling with his wife, Lorayne, to Europe, Canada, Nova Scotia, Alaska, Hawaii, and many other places. 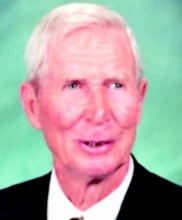 He was also a member of St. Paul United Methodist Church for more than 60 years. He was preceded in death by his parents; and sisters, Grace Armitage, Sybil Gillespie and Mabel Elbert. He is survived by his loving wife of 60 years, Lorayne Welch; sons, Philip Welch and wife Shanna of McLewis Community and John Welch of Los Angeles; grandchildren, Jared Welch of Austin, Texas, and Sterling Welch of McLewis Community; brothers- in-law, David Sparks and wife Nell of Bridge City, Texas, and Donald Sparks and wife Pat of Pennsville, NJ; and numerous nieces and nephews.